What Is a PSP File? A file with the PSP file extension is most likely a Paint Shop Pro Image file. Similar to Photoshop's PSD format, PSP files can store guides, layered images, and other things common with advanced image editing software. Versions of Paint Shop Pro newer than PSP 8 use the .PSPIMAGE file extension instead. Some PSP files may instead be Photoshop Preferences files that store settings for Adobe Photoshop. For example, there are a Brushes.psp, Patterns.psp, and Styles.psp file to store settings specific to those functions. PL/SQL Server Page files that access database information through SQL commands are text files that also use the .PSP file extension. PSP files can be opened with Corel PaintShop Pro, Adobe Photoshop, ACD Systems Canvas, Chasys Draw IES, IrfanView (with a plugin), GIMP, and possibly some other popular photo and graphics tools as well. PSP files used by Photoshop and Photoshop Elements for storing preferences probably don't ever need to be opened manually. This is because the PSP files are stored in the Photoshop installation directory and are used automatically when the program is open and being used. Another way to reset preferences in Photoshop that doesn't involve deleting the PSP files manually is to press and hold the Alt+Ctrl+Shift (Windows) or Option+Command+Shift (Mac) keyboard shortcut as you're opening Photoshop — you'll be prompted to delete the settings (the PSP files). PL/SQL Server Page files that are in the .PSP format can be viewed in a browser and edited with a text editor like Notepad in Windows. If Notepad is too basic for you, see our Best Free Text Editors list for some better options. If you find that an application on your PC does try to open the PSP file but it's the wrong application or if you would rather have another installed program open PSP files, see our How to Change the Default Program for a Specific File Extension guide for making that change in Windows. If the PSP file is an image file, you can convert it to another image format like JPG or TIF with the free IrfanView program. This free online PSP to JPG converter is another option for converting PSP to JPG. It's different than IrfanView because you have to upload the PSP file to the website in order to convert it, but it's also probably much quicker than downloading and installing IrfanView just to convert the file. PSP files might contain layers like PSD files, but I'm not aware of a file converter that can preserve those layers and convert the PSP directly to PSD. However, you can of course just convert the PSP to JPG and then open it with Photoshop to save it to PSD - again, this won't keep the layers, though. 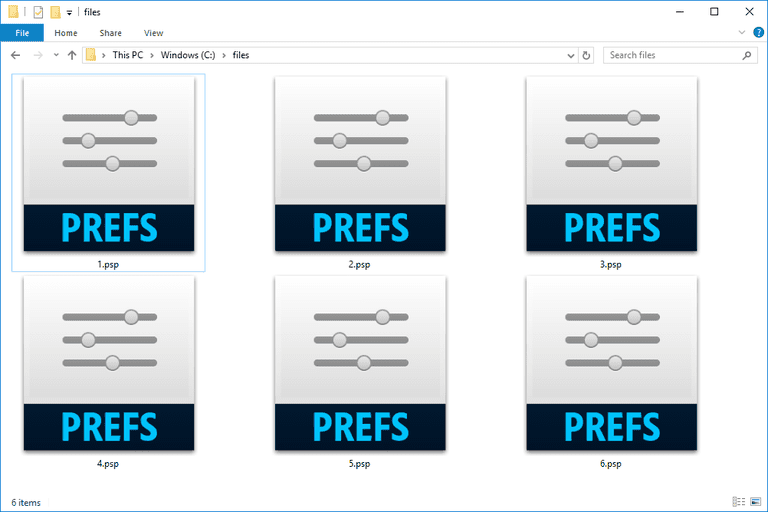 There's no reason to convert a Photoshop Preferences file into a new format because files of this type are made specifically for Photoshop, so they won't work in any other application even under a different format. PL/SQL Server Page files can be saved to any other text-based format using a text editor. Some programs let you rip or copy a PSP (PlayStation Portable) game to an ISO file. If you need to convert that ISO file to a CSO file, you can use Format Factory.